New website design and hosting environment for an SF-based contemporary ballet company. Includes analytics, modular design for ease of updates, and multiple email address forwarding. 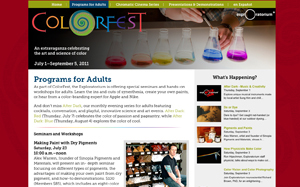 This site supported a two-month long summer festival exploring color. 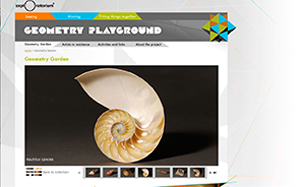 This website supports a major traveling exhibition that was developed and built by the Exploratorium’s Geometry Playground team and stands on its own as a central resource for educators and the general public who want to explore geometry in everyday life. 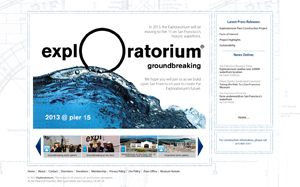 In 2013, the Exploratorium will be moving to Pier 15 on San Francisco’s historic waterfront. Our team worked closely with PR, Development, and Institutional Media to create this informative site. 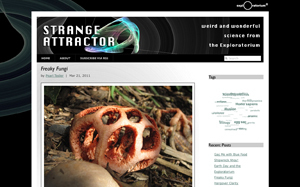 The Exploratorium’s science writer’s blog. The goal was to create a clean design with ease of use for frequent updates by non-technical staff. 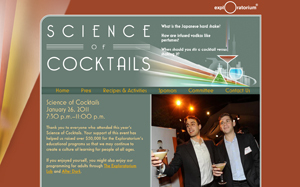 Website to support an annual fundraising event. 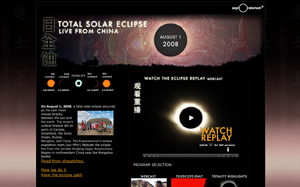 Main site to watch the Exploratorium’s live webcast from the remote Xinjiang Uygur Autonomous Region in northwestern China near the Mongolian border. The site also has a blog component to support crew dispatches and comments from around the world.